This week we’re taking a look at a technique called “sfumato” (pronounced sfoo-mah-toh). This is also a word with its origin in -you guessed it!- the Italian language. The word is derived from the verb “fumare”, which means “to smoke.” The sfumato technique refers to a painting with no bold or harsh outlines. By blurring and blending carefully, artists use sfumato to give a smoky, atmospheric effect to a painting. Sometimes, this is done using a dry brush technique (more on dry brush technique on another Tuesday!) and sometimes with a careful smudging or blending of brushstrokes with a finger, a rag, or another brush. Until the Italian Renaissance, it was quite common for art to contain distinct areas of outline delineating the forms. Once again, Renaissance All-Star Leonardo da Vinci shook things up a bit. 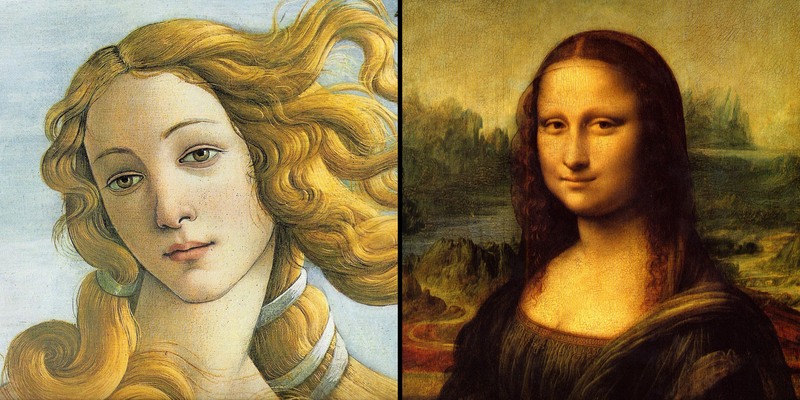 He provided an excellent example of a different style with his famous portrait, “Mona Lisa.” You can see in these cropped images below how Sandro Botticelli, an excellent painter from the early Renaissance, has painted this face with clear outlines, giving it a fresh and crisp appearance. The sfumato technique is all the more apparent when seen compared to this crisp style, as da Vinci’s portrait takes on a blurred, dreamy quality. There are no clear lines here, just soft shading providing the transition between different tones. You can also observe how the landscape in the background behind the figure is even more blurred than the figure, enhancing the illusion of depth and helping to provide more focus on the foreground. 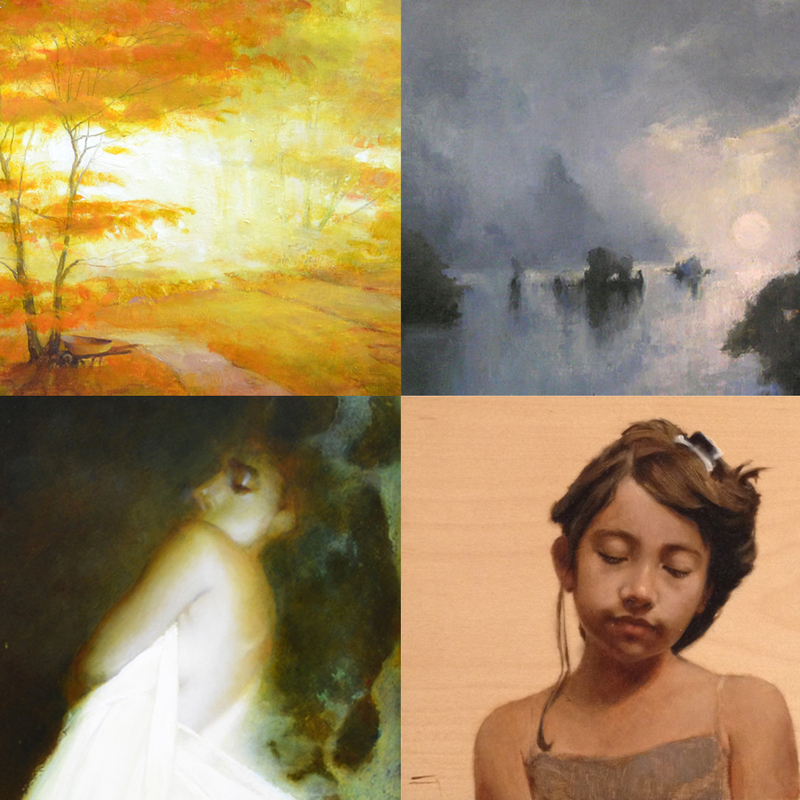 These examples, by Martin Poole, Paula Rubino, and Lisa Gloria illustrate some of the many ways that artists use sfumato to enhance the mood and the spatial effects of their artwork. Click on their names here to see more incredible paintings by Poole, Rubino, and Gloria! Join us next week on Technique Tuesday for a trip to the great outdoors, as we look at the technique of painting landscapes “en plein air”! Happy Valentine’s Day from Principle Gallery!